Big bank says it won't lend to coal firms that mine mainly by mountaintop removal; are there any? 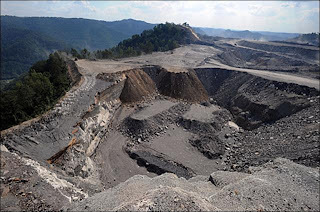 "I think it was a bit of a public relations ploy at a time when there's a lot of press attention on mountaintop removal," Carol Raulston, spokeswoman for the National Mining Association, told Smith. She said no NMA members had contacted her about it. A bank spokeswoman "refused to elaborate on how the phase-out would work, how many companies it would affect or how much of its business involves coal industry financing," Smith reports. There could also be questions about how the bank defines "mountaintop removal," which can differ in legal terms and practice. Still, a worried West Virginia Coal Association Vice President Chris Hamilton told Smith the announcement could be "precedent-setting," and others agreed. Smith notes, "Earlier this year, three investment banks announced new non-binding environmental standards to help lenders evaluate risks associated with investments in coal-fired power plants." Meanwhile, Scott Finn of West Virginia Public Broadcasting reports for National Public Radio on the reaction in the main mountaintop-removal state to the new federal rules that will ease the practice. To read and listen, click here. As the economy worsens and more people fall into dire straits, that's news. But in our experience, most rural newspapers shy away from enterprise reporting about hard times. Some are reluctant to shine the spotlight on neighbors; some think there's enough bad news already. But if a newspaper is to be what it should be, a mirror of the community, it needs stories like the one published in The Coalfield Progress of Norton, Va., this week. UPDATE, Dec. 8: The Progress was ahead of the curve. Today Michael Sluss and Rob Johnson of The Roanoke Times report that some area food banks are running out of food and may need state aid. "The phrase 'clean coal' was repeated by virtually every major presidential candidate this year," writes Steven Mufson of The Washington Post. "Now the battle over what it means is heating up," with a television advertising campaign to counter long-running ads from the coal industry and electric utilities that burn coal. The ads are being financed by former Vice President Al Gore and organizations such as Sierra Club, the Natural Resources Defense Council and the National Wildlife Federation. Loaded and concealed weapons will be allowed in national parks and federal wildlife refuges, as long as the holders comply with state laws, under a regulation finalized by the Bush administration yesterday. "The rule replaces a Reagan administration policy that first allowed guns in parks but required them to be safely stowed and unloaded," reports Jesse Nankin of ProPublica. The Department of the Interior said in a press release that it was responding to requests by 51 senators and the passage in 48 states of laws allowing possession of concealed deadly weapons. For our May item on the proposal, click here. It's a tough time to look for a job in most states, but not in North Dakota, one of the brightest spots in the American economy, reports Monica Davey of The New York Times. Why? "A recent surge in oil production ... a mostly strong year for farmers ... and a conservative, steady, never-fancy culture that has nurtured fewer sudden booms of wealth like those seen elsewhere," she writes. “Our banks don’t do those goofy loans,” Bismarck car dealer Justin Theel told Davey. At when dealer closings are common, 27 percent more vehicles have been sold in North Dakota than at this time last year, Davey reports. "One of the state’s biggest worries right now is precisely the reverse of most other states: North Dakota has about 13,000 unfilled jobs and is struggling to find people to take them." Barack Obama often talked on the campaign trail about the need to expand high-speed Internet access in rural America. Now a diverse coalition of broadband promoters has organized to make sure he keeps his promise in the face of economic and budget challenges. A Call to Action for a National Broadband Strategy comprises 57 firms and organizations, "some of which generally don’t get along too well," reports Carl Weinschenk of Business Communications Examiner. "There are other influential voices being raised that are asking Obama to deliver on his promises, perhaps as part of the stimulus package that he promises to sign into law when he takes office." Adamson said in an interview with The Rural Blog that he hadn't heard any overt expressions of racist voting, but felt that it was a factor. "There were a lot of people who were afraid to even mention race," he said, despite the historic significance of the first black president. "It was the day after the election and I needed to write a column." He said he voted for John McCain. Adamson said he has received no reaction from his column, which ran in The Record of Leitchfield, the Breckinridge County Herald-News and the Butler County Banner. To read it, click here. Many small towns struggle to balance economic growth with preservation of their community's spirit. One community is turning to the local college to help with the task. With talk of a bailout for the Big 3 automakers dominating this week's news these days, Michigan and some other Rust Belt states are getting a lot of attention. But some are saying that the future of the auto industry is not in the Great Lakes region, but in the South. Sylvia Lovely, executive director of the Kentucky League of Cities and president of the New Cities Foundation, explains the region's appeal to car manufacturers. "The easy answer is that they came for cheaper land and labor," she writes on newgeography.com, but "They came also for laborers eager to find the good paying auto jobs that had escaped the South for too long." She also says the region contains a strong work ethic often ignored in stereotypes. UPDATE, Dec. 6: In an op-ed piece for the Los Angeles Times, Jonathan Cutler of Wesleyan University examines the failure of the United Auto Workers to unionize Japanese plants in the U.S. and build a relationship with Japan's auto workers union. The ban on creating new roads in national forests, enacted during the Clinton administration, has been narrowed by a federal court decision. The ban now affects only a fourth of the states initially affected. The 2001 "Roadless Rule" has been subject to judicial tug-of-war over the past few years. the Bush administration overturned the decision in 2005. Judge Elizabeth Laporte invalidated that repeal in 2006, after challenges from environmental groups. But another federal judge invalidated the original rule this August, says a recent Associated Press article. Rural America gets the short end of the stick from the nation's foundations and other philanthropies, but many of its natives have wealth that could greatly benefit their old hometowns. The latest example is Felix Martin Jr., right, who died just over a year ago. When the retired investor and lifelong bachelor returned to his native Greenville, Ky., in 1996, "People knew him but they didn't know the extent of his wealth. He was private about it," his friend Roderick Tompkins said yesterday -- when the wealth became very public, with the announcement that Martin had left $50 million to create a foundation or trust "for the benefit of the education, civic and cultural needs" of Muhlenberg County. The county of 32,000 is synonymous with the Western Kentucky Coal Field, where mining has been an up-and-down industry that has brought temporary prosperity to many, wealth to a relative few, and lasting human and environmental damage to some. Many know it best as the locale of John Prine's 1967 song "Paradise," from which the title of this item is taken. For more background on rural philanthropy, click here. Our longtime friend and colleague Byron Crawford, who traveled Kentucky to do rural features for Louisville's WHAS-TV, then spent 29 years as the state columnist for The Courier-Journal, wrote his last column yesterday. It's in the Louisville paper today. He was among the employees who applied for and received a buyout as the Gannett Co. Inc. paper did its part in the company's latest downsizing. He has become an institution, and The C-J won't be the same without him. Crawford, a native of Lincoln County in the rural heart of the state, thanked readers and subjects "for trusting me with some of your most personal stories," and "for giving me directions when I was lost on the backroads along the Mississippi or on Pine Mountain. . . . My assignment has been to roam Kentucky from end to end, telling the stories of its fascinating people, places and folklore. I have tried always to remember that my voice and my opinion were never as important as those of my story subjects." And he apologized "to those whose important stories I never got to tell. There were just too many roads and not enough time." The Newspaper Association of America's 2008 20 Under 40 list features four employees from rural newspapers and a company that owns many rural papers. The honorees were Dan Cox, president of the The World Co., publishers of the Lawrence Journal-World in Lawrence, Kan.; Shannon Dunnigan, vice president of human resources at GateHouse Media in Fairport, N.Y.; Mike Fuhrman, editor of the Statesville Record & Landmark in Statesville, N.C.; and David Sickle, circulation director for The Republican & Herald and The News-Item in Pottsville and Shamokin, Pa.
Presstime says that the goal of the list “is to assemble a group of people, under the age of 40, who represent the innovative work being done at today's newspapers, and tell their stories through profiles in the magazine and enhanced content online at www.naa.org." See the profiles of the winners here. Small towns often struggle to find family-care physicians, because of lower pay and higher medical school debts, as well as schools' push for students to specialize and a more frequent schedule of being on night call. But family physicians say that these are all worth it for the benefits of small-town medical practice, where doctors really get to know their patients and their families. The three leading candidates for secretary of agriculture in the Obama administration are Kansas Gov. Kathleen Sebelius and U.S. Reps. John Salazar of Colorado and Sanford Bishop of Georgia, according to sources of Agri-Pulse, a Washington-based newsletter on agriculture. It is subscriber-based, but offers a four-week trial subscription. Yesterday, The Washington Post listed Sebelius, former Rep. Charles Stenholm of Texas and Pennsylvania Secretary of Agriculture Dennis Wolff, who is a dairy farmer. Meanwhile, seven former agriculture secretaries offered advice about USDA and perspectives on the future of agriculture today in Washington at the Food and Agriculture Policy Summit, sponsored by Farm Journal and Farm Foundation. For an introductory story by Farm Journal's Jeanne Bernick and a video, click here. Agriculture faces a number of challenges in the next thirty years and public policy must change if they are to be adequately addressed, says a new report released today by Farm Foundation. "The 30-Year Challenge: Agriculture's Strategic Role in Feeding and Fueling a Growing World" identifies six areas that will shape agriculture in the next three decades: global financial markets and recession, global food security, global energy security, climate change, competition for natural resources and global economic development. UPDATE, Dec. 6: The prediction is extreme, and newspapers have other steps available to them, such as becoming nonprofit organizations or donating themselves to such groups, media-business analyst Lauren Rich Fine writes on paidContent.org. Several cities are likely to lose their daily newspapers in the next two years because the recession will deepen and some newspaper companies will default on debt and go out of business, Fitch Ratings said in a report on media companies yesterday. But just as the report was coming out, a group of community newspaper publishers went public with their plan to boost their sector of the industry, which is doing much better than metropolitan papers. First, the bad news: Fitch, a subscriber-based credit rater, said in its 2009 outlook for the U.S. media and entertainment industries, "Fitch believes more newspapers and newspaper groups will default, be shut down and be liquidated in 2009 and several cities could go without a daily print newspaper by 2010." But to such observers, the newspaper industry generally means daily, metropolitan papers. Circulation and advertising declines have been much less at weekly papers and smaller dailies, the sort of papers that belong to the National Newspaper Association. The NNA Foundation wants to help members "meet current circulation and revenue challenges," but some in the group also think they "need help in changing the public's perception that ... the newspaper industry is dying," Foundation President Peter Wagner writes in the December issue of Publishers' Auxilary, NNA's member newspaper. Wagner says the foundation board is planning efforts to "promote the community newspaper industry as growing and effective and certainly not in the downward spiral being reported by the larger chains and major metro papers," pay for promotion of public-notice advertising, an important revenue source and public service of most rural weeklies, and meetings to help younger members of newspaper-owning families run their companies. About 40 percent of weekly newspapers are still independently owned; for dailies, the figure is about 20 percent. The foundation is looking for donations to do its work, and for suggestions. The current Pub Aux isn't yet online, but Wagner can be reached at pww@iowainformation.com or P.O. Box 160, Sheldon IA 51249. He is publisher of the N'West Iowa Review, one of the best weeklies in the nation. (He would want us to capitalize the last word in the paper's name, as he does.) We strongly endorse his efforts. UPDATE: In the INA Bulletin out today, the Iowa Newspaper Association announced the theme for its 2009 convention, to be held Feb 5-6 in Des Moines, is "Learning to Survive and Thrive." Note that the logo puts the emphasis on "survive." As the Obama administration nears many believe that drastic changes are needed in the U.S. Department of Agriculture. Such changes may prove difficult. "In cash-strapped times, the challenges of mounting new initiatives are daunting," writes Kimberly Kindy of The Washington Post. "And the USDA is still battling long-running problems: subsidy programs that give huge sums to ineligible, millionaire farmers; a food inspection system that puts Americans at risk for food-borne illnesses; and nutrition programs that fail to identify more than 30 percent of Americans who live in poverty and are at risk of hunger every month." Obama has criticized farm policy in the U.S. for focusing on large farms, and last week he noted a Government Accountability Office finding that "USDA continued to give federal subsidies to ineligible, wealthy farmers despite a series of congressional reforms," notes Kindy. "Between 2003 and 2006, more than 2,700 farmers who were earning more than the cutoff of $2.5 million annually continued to receive subsidies." But changing the farm policy to strengthen support for smaller farms has met with opposition from both Democrats and Republicans. U.S. ethanol production down, imports up in Sept. The Energy Information Administration reports that U.S. ethanol production was down in September while imports, "largely from Brazil, increased," writes Janie Gabbett of MeatingPlace. Radio stations can be an important part of a small community, and one in Southern Indiana has recently been recognized twice for its public service. 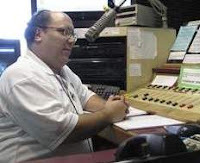 WMPI in Scottsburg, population 6,000, was recently named small-market station of the year by the Indiana Broadcasters Association and received a write-up in The Courier-Journal of nearby Louisville. Kentucky lieutenant governor wants to link ATV trails in Eastern Kentucky with those in W. Ky. Coal-mining counties in Central Appalachia are capitalizing on the region's rough terrain as a tourist attraction for owners of four-wheel-drive and all-terrain vehicles. Now Kentucky Lt. Gov. Daniel Mongiardo is promoting a statewide adventure trail that would connect local trails from the eastern part of the state with the western part. Mongiardo is a physician from adjoining Perry County and once represented Harlan in the state Senate. For earlier coverage of the adventure trail on The Rural Blog, click here and here. Barack Obama will become president on Jan. 20 not because he altered the electoral map, as he said he could uniquely do, but because he boosted the Democratic vote in swing-state suburbs, political scientist Michael Harrington writes on newgeography.com. His election "had to do with headway with specific voters – especially suburbanites and key swing states – rather than any overthrow of anticipated urban/rural voting divides," the site's editors write. While Obama drive up black turnout, got two-thirds of the vote among other minorities and more than two-thirds of voters under 30, none of those shifts reflect "the electoral geography that drives the Electoral College results," Harrington writes. "The true shift from red to blue was actually driven by a slight shift at the margins of the divide. The tipping point was in the suburbs where middle and upper class suburbanites congregate and 49 percent of the electorate resides." The result, he says: Nevada, Colorado, New Mexico, Iowa, Indiana, Ohio, Virginia, North Carolina and Florida changed from red to blue. To prove his point, Harrington uses these maps prepared by Mark Newman, showing the range of the partisan vote in a spectrum from red to blue, county-by-county (click below to enlarge): "Not a big difference, is there?" Harrington asks. The key differences, he writes, were on the edges of metropolitan areas: "Obama captured more suburban counties outside the urban core than either Gore or Kerry. These counties not only have lower population densities but also higher incomes and more white inhabitants. So much for race. . . . Obama won handily in the mature suburbs where Bush and Kerry had evenly split. This is also where much of the non-black minority support for Obama resides." UPDATE, Dec. 4: In approving the rule, EPA apparently ignored findings of its own studies, reports Joaquin Sapien of ProPublica. "The Environmental Protection Agency on Tuesday approved a last-minute rule change by the Bush administration that environmentalists fear will lead to coal companies burying more Appalachian streams with excess rock and dirt from surface mining," report Renee Schoof, Bill Estep and Andy Mead of the Lexington Herald-Leader. The rule proposed by the Interior Department and its Office of Surface Mining was revised at EPA's request, but will still "revoke parts of a key water quality rule that could have been used [in lawsuits or action by the Obama administration] to limit the burial of streams by mountaintop-removal coal-mining operations," writes Ken Ward Jr. of The Charleston Gazette. The old "buffer zone" rule, enacted 25 years ago, bans mining activities withing 100 feet of streams, including those that occasionally dry up. That complicates mountaintop-removal mining, which deposits the rock and dirt from the mined area in fills at the heads of hollows, or narrow valleys below the mined ridges. Federal and state agencies routinely grant coal companies variances from the rule, supposedly by showing that they won't "adversely affect the water quantity and quality, or other environmental resources of the stream," as the current rule states. The Obama administration could try to overturn the new rule, which would be a complicated and lengthy process. "Obama's transition team declined to comment on its plans on Tuesday," the Herald-Leader reports. "Another option would be for opponents to go through the courts. Opponents have argued that the rule change is illegal." Also, the administration could propose a broader regulation or legislaiton that would place new limits on mountaintop removal, a step Obama has said he favors. As part of World AIDS Day yesterday, an organization supporting HIV/AIDS survivors in Minnesota and North Dakota addressed the importance of spreading awareness of the disease in rural communities. While more dispersed populations may make it seem that AIDS isn't a pressing issue in such areas, “If there’s one person in our community living with this disease, then we’re all living with it,” Clinton Lende, the executive director of Minnkota Health Project, said at the organization's World AIDS Day Community Forum. Despite controversy surrounding practices of the Tennessee walking horse industry, industry leaders have talked their way into the Alltech 2010 World Equestrian Games at the Kentucky Horse Park with promises of better behavior. Breeders of Tennessee walkers have faced criticism over the practice of "soring" in which a horse's front legs are intentionally injured to exaggerate the gait in competitions. As The Rural Blog has reported in the past, the American Association of Equine Practitioners has called this practice "one of the most significant welfare issues affecting any equine breed or discipline." To read other Rural Blog posts on Tennessee walkers click here and here. As the demand for alternatives to imported energy sources keeps rising, many are looking to lift existing bans that would allow for exploration of domestic sources. This year has already seen the ban on offshore drilling lifted in many areas, and now Virginia may lift a statewide ban that prevents mining for uranium. Anita Kumar of The Washington Post writes, "Despite opposition from the General Assembly, a state commission will study whether more than 60,000 tons of uranium can be safely mined in rural south-central Virginia in what is thought to be the nation's largest undeveloped uranium deposit." The state Coal and Energy Commission does not have the authority to lift the 25-year-old ban on uranium mining. That would have to be done by the legislature, which in March killed a study proposal. "The issue divided legislators along geographic lines rather than partisan ones," Kumar writes. "Many who represent areas where uranium has been found or whose drinking water could be affected voted against it, and many from other regions, including Northern Virginia, voted for it." As George W. Bush's presidency comes to a close, he has begun issuing pardons. "On the surface, the list of the 14 people pardoned by the president this week shows few common denominators in terms of time served, geographic location or even type of crime, except that the felonies were non-violent, writes Amir Efrati of The Wall Street Journal. "But a closer look at some of the newly pardoned shows many of them are church-going, blue-collar workers from rural areas (and ardent Bush supporters) who had little trouble finding jobs after their convictions. There is another common thread: the important role firearms once played in their lives." Rural America could get a welcome boost as more active people of retirement age move into their communities. A report from the Carsey Institute at the University of New Hampshire shows that rural areas are getting more than their share of new residents over age 60. Cornell University researchers Nina Glasgow and David Brown write, "While young people are much more likely than older adults to move, almost 10 percent of Americans aged 60+ migrated between counties during 1995 to 2000, with a disproportionate share moving to rural communities." "Older in-movers are active in a wide range of social, civic, religious, and service organizations, and they are especially likely to volunteer," Glasgow and Brown report. "Community leaders we interviewed reported that through their labor, technical expertise, and financial contributions, older in-movers are a driving force in community activities and organizations." It appears that the trend is rising as baby boomers approach retirement age. "If new cohorts of older persons maintain the migration behavior of current retirees, older in-migration to rural areas will persist into the future," write Glasgow and Brown. "There seems little question that this will be the case, given the fact that nonmetropolitan areas have experienced net in-migration at ages 60+ during three of the last five decades, with the rate of in-migration at these ages being particularly high during the rural growth decades of the 1970s and 1990s." Glasgow is a senior research associate in the Department of Development Sociology at Cornell, in Ithaca, N.Y., and Brown is a professor of development sociology, director of the univresity's Community and Rural Development Institute and associate director of the Cornell Population Program. Click here to read their full report. Michael A. Woodhouse, the company's chairman, president and CEO, said in a release, "With our return to a single-concept company and to further build on our strong and highly-differentiated brand, we are pleased to return to the company's original name of Cracker Barrel Old Country Store Inc." The company's stock will continue trading as CBRL on NASDAQ. It topped $50 a share in March 2007 but dropped to $25 by January 2008 and is trading today at just under $20. Chicken farmers in Maryland are being blamed for increased pollution in Chesapeake Bay, as unregulated chicken manure is being washed into streams that flow into the arm of the Atlantic. The state is proposing new regulations for manure storage and disposal by one of the largest agricultural industries in the state. 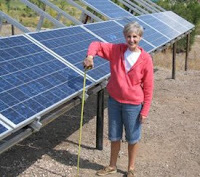 With developers flocking to Wyoming to take advantage of the rising popularity of wind power, residents are banding together to get the most from their land. "While ranchers have always been ready to help their neighbors, they have been less willing to discuss their financial affairs," Barringer writes. "That has made it easier for wind developers to make individual deals and insist that the terms be kept secret." But Wyoming residents are finding that it is to their benefit to have these difficult conversations. Today The Oklahoman became the latest, and one of the last, metropolitan daily newspapers to stop statewide circulation. The family-owned Oklahoma City paper announced Nov. 6 that it would stop distribution "in the four corners" of the state after Nov. 30 but "remains committed to covering news throughout the state, including in areas affected by the cutbacks of the print product, through a variety of digital products, some of which are newly developed." The paper cited rising nesprint costs and "the worst advertising climate for all media since World War II." We're not sure if anyone keeps track of which papers still have statewide circulation, but The Oklahoman reported that "it was one of the last daily newspapers in the United States to deliver its product throughout its home state. About 7,000 households, most of them 100 miles or more from Oklahoma City, will be affected by the changes in daily home delivery. In a handful of communities, including Tulsa, home delivery will be discontinued, but the daily paper will be available from news racks and in retail stores. Despite the cutbacks, the redrawn circulation area of The Oklahoman still covers roughly two-thirds of the state." We asked Pat Dennis, The Oklahoman’s vice president of operations, for a map of its new circulation area but got no reply. The Oklahoman's cutback follows similar measures in many other states, increasing the need for smaller daily and even weekly newspapers to fill the gaps in regional coverage. In a possible exception to the trend, the Charleston Daily Mail will switch from evening to morning publication on Jan. 5 and try to extend its circulation beyond West Virginia's capital city over a six-month period. Editor and Publisher Nanya Friend said the change also would save distribution costs, since the paper has a joint operating agreement with The Charleston Gazette. "Our mission stays the same: Aggressive coverage of local news; a conservative editorial philosophy," Friend said. The paper and the Gazette, which has a liberal philosophy, have competing staffs and publish a combined edition on Saturdays and Sundays. Circulation is about 75,000 on Sunday and 61,000 on Saturday. The Gazette's daily circulation is 47,000; the Daily Mail's is 22,000, down from 29,000 two years ago. A week ago today, we reported that restructuring of the Big 3 automakers could lead to closure of many small-town auto dealerships, and even without laws to override franchise agreements, almost 1,000 of the 20,000 or so U.S. dealers are expected to close next year. Today, The New York Times has its version of the story. If you're a journalist thinking about doing a similar story, this story and last Sunday's item are two places to start. "At least 70 percent of the dealerships that have closed so far this year sell American cars, and better than 60 percent of the remaining dealerships sell the troubled Detroit brands," Clifford Krauss reports. "Even if Ford, Chrysler and G.M. survive, many believe a comeuppance is inevitable among dealerships; indeed, for years the nation has had more dealers for domestic brands than warranted by the sales volume of the Detroit automakers. ... In October alone, 20,000 employees of auto dealerships lost their jobs nationwide, more than half of those who were newly unemployed in the retail trade, according to the Labor Department. ... And now the credit market — the lifeblood of any car dealership — is frozen."